Governor Christie has until February 7 to make a decision regarding Internet poker in Atlantic City casinos. 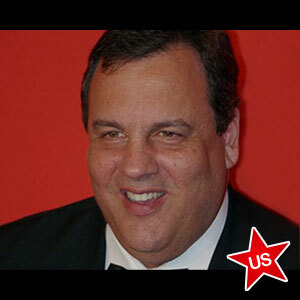 The State of New Jersey is waiting for Governor Chris Christie to approve online gambling in Atlantic City casinos. The Act which was passed by the Senate and General Assembly in December 2012 has been awaiting the approval of the governor since then. Governor Christie has until February 7 to make his decision and supporters of the Act are pushing hard for him to sign the bill. This will determine whether casinos in Atlantic City will be able to offer online poker to their customers. One of the sponsors of the Bill, New Jersey Senator Raymond Lesniak, is urging the Governor to sign, but has indicate that many supporters of online gambling expect him to issue a conditional veto, if not veto it altogether. Alternatively, it is possible that he will allow the deadline to pass without making any decisions. If Governor Christie vetoes the Bill, supporters are expected to start the legislative process over from the beginning. If he takes no action and the deadline passes, the Bill will become law. If he issues a conditional veto, this will come with proposed amendments which would need to go through a legislative process to re-enact the Bill with the amendments included and the governor would need to sign off on that. If the Bill becomes law, online gaming vendors would need to acquire a license and be classified. The one year permit would allow all forms of online gambling that are available in land-based forms in Atlantic City casinos. Only players residing within the State of New Jersey who are aged 21 or older would be eligible to play online. Senator Lesniak referred to New Jersey’s ability to become the Silicone Valley of online gambling if the governor signs the bill. Senator Lesniak also expressed his doubts that a Federal law for online gaming would be passed any time soon and that this bill is the best chance that New Jersey has for implementing the option for online gambling within the state. The next step for supporters of online gambling in New Jersey if the governor vetoes the bill is a public referendum to amend the Constitution of the state.